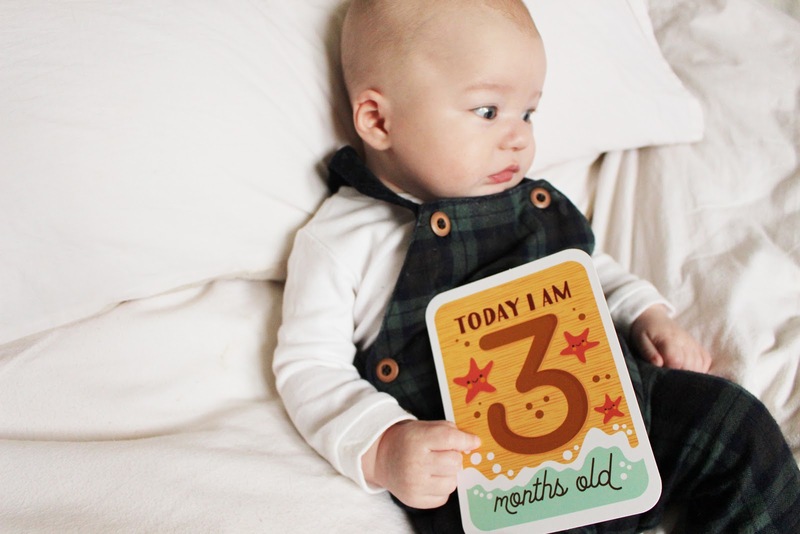 Harrison is 3 months old. I have a three month old baby. I honestly cannot get my head around this. I can hand on heart say that my pregnancy (which was essentially just over 3 months long) felt like the longest stretch of time in the world. Every day dragged in, and the weeks didn’t go in any quicker. I was in a constant cycle of wishing my days away, whilst being terrified of what was to come. Now though, time has absolutely flown. It feels like yesterday I was bringing Harrison home from the hospital, absolutely clueless as to what I was supposed to be doing and to what motherhood would hold. Whilst it feels like no time at all has passed since then, I also cannot remember a time when I wasn’t a mother. I can’t remember a reality where I didn’t have someone to rely on me 24 hours a day, and although I complain often, I wouldn’t want to. In the last week especially, Harrison has hit my favourite stage yet. He’s happy, giggly, and a joy to be around. I’ve accepted the lack of sleep, and my body has adjusted to living off of what feels like next to none, but he makes up for that shortcoming with the smiles during the day. Again, we've not seen any health professional since before our 2 month update, with the exception of his jags. His jags alone were enough to scare me off from the NHS for life; ok, not exactly, but I will not be going back with him. Jag day is now a daddy and son bonding experience - his squeal broke my heart, and he was obviously affected later in the day, so it's safe to say I'm not looking forward to his next lot. In terms of size, I don't have much I can say other than he is absolutely huge. At least, to my eyes he is. We don't have an appointment to weigh him until 4 months, so I'll be sure to update then. As far as I can tell, he's growing brilliantly, he's out of 0-3 months and comfortably into 3-6 months now, which is heartbreaking a little. 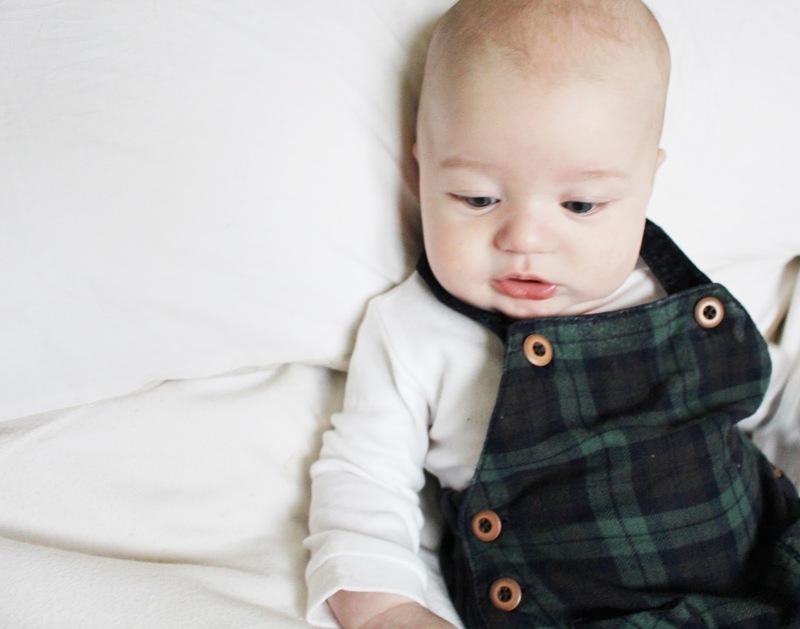 We've hit the teething stage, or rather, the teething stage has hit us HARD. We've resorted to Ashton and Parsons and Dentinox, and both seem to have calmed the effects slightly, but both are things I never wanted to have to use this early on. He's a slabbery little monkey 24/7 right now, his hands are constantly in his mouth, his cheeks are flushed and there seems to be endless spouts of crying that we can't deter with milk - which is brand new to us. All signs point to teething, so let's hope starting early means we also get it out of the way early (wishful thinking, I know). Harrison is a grubber, always has been, probably always will be. He's still taking 6oz of milk every few hours, although his mouth bothering him has meant his schedule has been thrown completely off, and where before it was completely regular and we could almost guarantee his feeds like clockwork, now it's a complete surprise when his next feed will be due. This makes it a little hard to plan for going out and about, but it's a case of overpacking to make sure we are not caught out without supplies. I can promise you right now, a hungry Harrison is not a happy one. We moved onto the Aptamil Hungry milk in an effort to try and hold back how often he was needing fed, and although it seemed to do the trick for a few days, we seem to be back to the same place we were a few weeks ago, and he always seems hungry. If I'm honest, I think we'll have to start weaning him early, I'd always intended on waiting until the 6 month mark, but we're now looking at the end of next month. I'm trying to hold out as long as possible, we still have a month before we consider, but it looks like we'll be weaning early. In terms of actual milestones, again I'm not really sure what we've managed. His first immunizations are up there, he giggles properly now, to the point where he blows bubbles everywhere as he laughs. He's absolutely engrossed in the television (Dance Moms is his favorite, sorry daddy), and will make a big effort to twist his head as far as he can manage if you turn him away from it. He also lifts his head A LOT, and has gotten a lot stronger with his neck. We can let him sit in his Bumbo now, and he can hold his head safely now, which is good for us, and gives my hip a little break for a few minutes at a time. He'll now grab as well, and can hold certain toys - his Matchstick Monkey has been a hit this month, not so much for his mouth and relieving teething pains which is intended for, but just to hold. It's the first toy we've had that is skinny enough for his little hand to grip, so he's not let go of it many times in the last week. He has also managed to roll over a good few times: from his front to his back only, and not consistently, but soon he will be. Our little star! Honestly, she's great. In December, I struggled, and I made no secret of that. 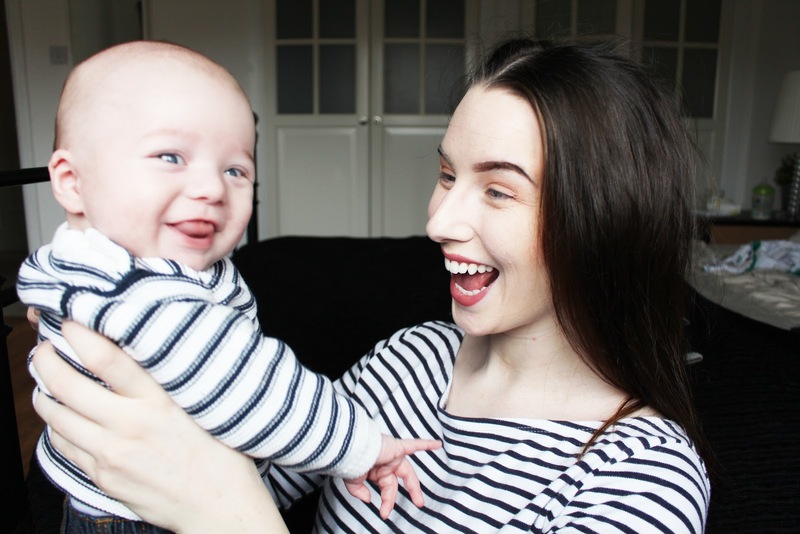 Motherhood is a scary thing - it's completely new to me, to every first time mum - and my life had been flipped on it's head. In the last few weeks, everything has gotten that little bit better. I've managed to nap, I've gotten back on my feet with my blog, I've seen my friends and family, and I've enjoyed being a mum. 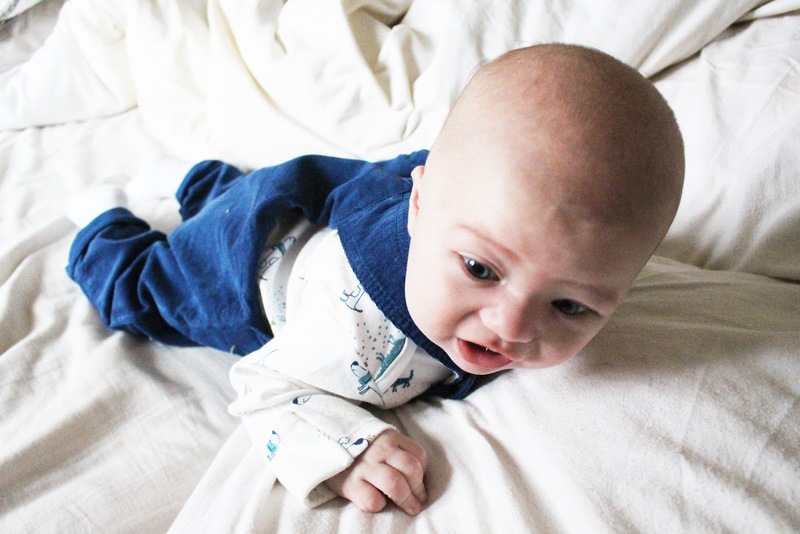 I won't lie and say Harrison's third month was an easy one, I cried more than I think I ever have in my life, for no good reason at times, for good reason others. I lived off of chocolate and coffee, and I wasn't really good at making any time for myself. 22 days into 2017 and everything has changed; new years resolutions get a lot of slack, but making a conscious effort to be happy has changed everything for me, and finally, I get to enjoy being a mum to a little boy who deserves everything. Harrison has hit more milestones than I've even realized. and I've made leaps and bounds this month - he truly is growing so quickly, and I now completely understand why everyone said I'd blink and I'd miss his first year. We're a quarter of the way there and I couldn't even tell you where it has gone. I'm so proud of my little man, he may have left me sleep deprived and drained, but I've never been as happy as I have been at times in the last three months. It's true we have our ups and downs, but the positives far outweigh the obsolete negatives, and I'm so excited to see the changes this little boy will make in the next few months.